The 2019 poster contest has ended. Check back in January 2020 for our new theme! The National Association of Conservation Districts (NACD) hosts an annual poster contest that focuses on a different conservation topic each year. 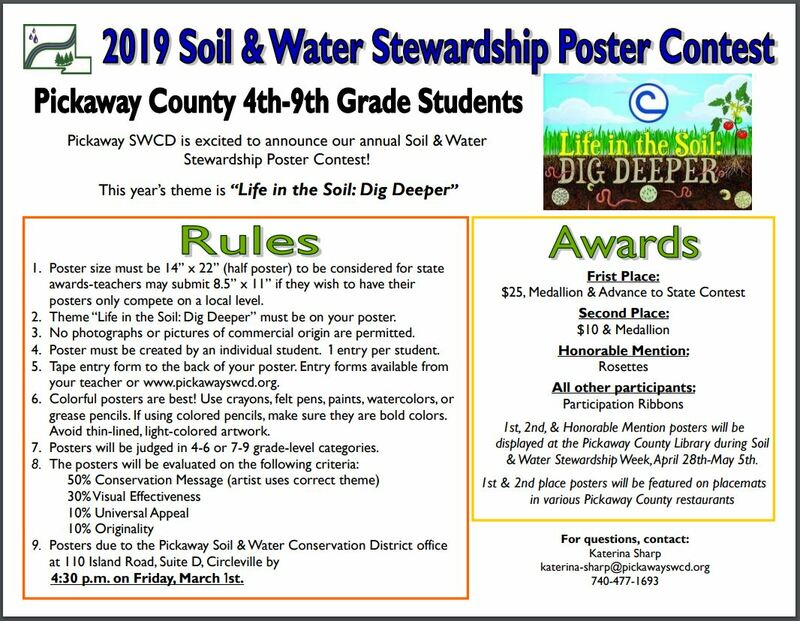 If interested, the conservation topic and poster contest are introduced to schools after the new year, and the posters are due in the spring. The posters are judged and the winners receive county recognition and their posters will be sent to the state for an additional competition. Please contact our educator if you are interested in this fun learning competition for your 4th through 9th grade students.